Cognitive computing is transforming the way we perceive the world. Today, applications of cognitive computing rely on machine learning models that are trained in the cloud and inference requests are made in real-time using end-user edge devices. This, thus far, has largely been the way that cognitive services are deployed. However, concerns over security, privacy, network connectivity etc. are sparking a paradigm shift in cognitive computing. Interest is rapidly growing in deploying training and inference engines at the edge, which in and of itself is evolving at an astounding pace. Bringing cognitive computing to the edge devices opens up several new opportunities and challenges for researchers. Edge devices are short on resources, such as power, networking, storage, compute etc. Therefore, cognitive edge computing requires us to understand the issues and discover novel solutions. The workshop is meant to foster an interactive discussion about emerging application domains and the role of cognitive computing in these new domains. In addition, the workshop is meant to lead to new discussions and insights on cognitive algorithms, architectures and system-level design. According to various market forecast, the market of intelligent robot will grow from 12.2 billion USD in 2011 to 33.6 billion USD in 2021. The increasing labor cost, demand of production quality and aging society continue to drive both the industrial and service robot installations. The robotics industry is looking into a bright future from the analysis of IFR (International Federation of Robotics): 1) Global competition requires modernization of production facilities. 2) Energy-efficiency and new materials require new production means. 3) Human-machine collaboration will open up new applications. 4) Growing consumer markets (e.g., wearable devices) require expansion of production capacities. 5) Decline in products' life-cycle and increase in the variety of products require flexible automation. 6) Technical improvements of industrial robots will increase the use of robots in the general industry and in small and medium sized companies. 7) Improved quality requires sophisticated high tech robot systems. 8) Robots improve the quality of work by taking over dangerous, tedious and dirty jobs that are not possible or safe for humans to perform. Industrial technology Research Institute (ITRI) of Taiwan has actively engaged in robotics research to assist Taiwan’s manufacturing industry in adopting robot-based automation. In this talk, an overview of the research program will be given first to explain the technology R&D focus. Several examples of automation in different industrial sector are presented, particularly for the implementation of robot technology. A number of advanced developments in robot technology are introduced which cover vision, actuator, force feedback, tactile sensing, localization and high precision motion control etc. Lastly, the research of power exoskeleton for spinal cord injury (SCI) patients is explained along with clinical trial results. We will explore the current VR craze, including the popular smartphone game: Pokemon Go, and four major technical problems to solve in VR/AR, namely (i) Display resolution high enough not to see visible pixels, (ii) Latency (from motion to photons) to avoid dizziness, (iii) Tracking (enough precision) so that manipulation and registration is satisfactory, (iv) Vergence-accommodation conflict inherent to all stereoscopic displays. We will explain the current state of the art and potential solutions. Visual Understanding (VU) plays an important role in cognitive edge computing. In this talk, I will introduce our latest research work on leading face analysis and emotion recognition, deep learning based object detection and scene understanding, and efficient deep neural network architecture design for visual recognition. I will also show some application prototypes based on our invented VU technologies on some edge devices. Mobile devices and accompanied applications are increasingly personalized as being more context-aware, adaptive, and customized to individual users. In this talk, we are examining a number of technologies, which have facilitated this personalization trend. Sensor fusion integrates homogeneous and complementary information from the ever growing amount of sensed data. Context-aware applications take advantage of contextual information and adapt to the surroundings. Personalized training on local devices with acceleration is attractive when there are limitations to a cloud solution. We have been trying to comprehend how these technologies have contributed to the era of personalized mobile computing and what are the challenges and opportunities to take this era into the future. This talk will discuss the challenges of running compute and memory intensive cognitive applications in resource-constrained IoT devices. An IoT device has limited compute, storage and energy resources, and typically has a simple microcontroller, small flash memory and a tiny battery or energy scavenging mechanism. Adding cognitive capabilities to it through machine learning models put significant stress on its limited resources. The talk will discuss these challenges in the context of case studies, and further investigate the implications of customised cognitive computing in future IoT applications. Deploying machine-learning capabilities at edge devices is one of the trends for privacy- sensitive cognitive applications on the cloud. A method is needed, to share a machine learning model among a group of edge devices and to make them collaborate with each other in an unstable network and imperfect nodes. Blockchain, a distributed data structure utilized in crypto-currencies, such as Bitcoin and Ethereum, can provide a novel solution. By applying Blockchain to IoT, a robust, distributed, peer-to-peer network can be constructed between edge devices, and its smart-contract procedure can execute complex multi-step process automatically. That the Blockchain platform is decentralized and tolerates node failures, and as blockchain-mediated activity is traceable on every record, Blockchain can be a reliable platform for cognitive edge computing. We will discuss its architecture in this talk. Abstract: DeepMind’s AlphaGo employs deep learning and reinforcement learning to beat one of the best human Go players. At HTC, my team has been embarking on improving healthcare quality via artificial intelligence since 2012. In this talk, I will present three healthcare related initiatives: Tricorder, Healthbox, and VR/AR Health, and explain how artificial intelligence techniques play pivotal roles in improving diagnosis accuracy and treatment effectiveness. Specifically, this talk presents scalable algorithms of deep learning, reinforcement learning, and transfer learning to tackle both the big and small characteristics of healthcare data. The Healthbox and VR (virtual reality) initiatives were recently awarded several top prizes at 2016 CES and MWC, and the Tricorder project advanced to the final round of the Qualcomm Tricorder XPRIZE competition. My team has also launched via mobile app stores Medication Management and Symptom Checker, both of which are powered by crowd sourcing and data driven artificial intelligence. Video game has been one of the core elements for family entertainment. Ubitus, established in Taiwan since 2007, has become one of the key players for video game streaming worldwide. Recently, virtual reality (VR) has been proposed practical for the platform of next generation entertainment, and Ubitus is developing interactive streaming services for VR as well, following its booming growth. In this talk, we would like to show you some latest Ubitus technologies, including streaming video games with robust real-time feedback and high quality stereoscopic panorama for VR. In addition, we will introduce how machine learning techniques are involved and applied to high-throughput concurrent requests for better server management. Vijay Janapa Reddi is an Assistant Professor in the Department of Electrical and Computer Engineering at the University of Texas at Austin. 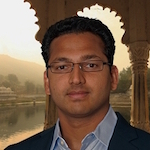 His research includes mobile and high-performance computer architecture with a special focus on hardware/software co-design. Ravi Iyer is a Senior Principal Engineer, CTO, and Director in Intel’s New Business Initiatives (NBI). 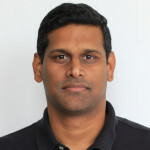 He leads technology innovation/incubation efforts and has made significant contributions from low-power system-on-chip wearable/IOT devices to high performance multi-core server architectures including novel cores, innovative cache/memory hierarchies, QoS, accelerators, algorithms/workloads and performance/power analysis. Shiao-Li Tsao is a Professor of Dept. of Computer Science of National Chiao Tung University. 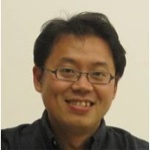 His research interests include energy-aware computing, embedded software and system, and mobile communication and wireless network. We welcome your suggestions on what you'd like to hear, or just say hello!